As "Girls" enters its final season on HBO, the cast is ready to share some of the drama that went on behind the scenes. 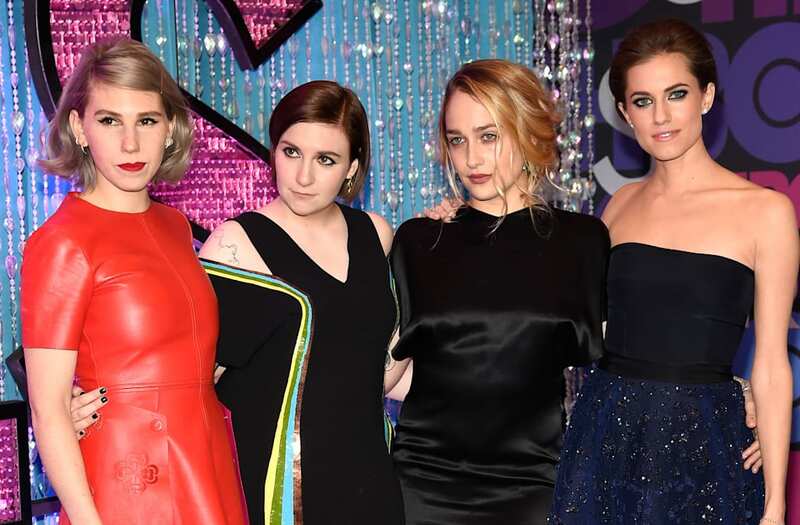 During an interview conducted by the show's co-showrunner Jenni Konner with Lena Dunham, Jemima Kirke, Allison William and Zosia Mamet for Glamour, Dunham remembered the time Kirke wanted to quit the show. Konner role-played an employer conducting an exit interview and asked the four what they would change about the job. Kirke responded, "Ugh I think season two." "That was the season where you said I had to get out of your dressing room or you were gonna punch me, Jem," Dunham said adding, "I think it's time for us to disclose to the world that, like, three days before season two, Jemima tried to quit." Kirke responded, "Yeah. My sense of who I was and what I wanted was really thin. I really wasn't sure what the f— I was doing." Dunham then recalled the moment it happened. "I remember being in a cab," she said. "And Jemima called me. She was like, 'I have to tell you something. It's not a big deal. I don't want you to freak out. I want to quit the show.'" Although the interview captured mostly positive feelings about working on the show, Dunham returned later to remember more second season drama. "I thought, at a certain point in the second season, I was gonna have to sit you girls down and be like, 'Listen, b—. You're lucky to have a job. So get it together and cut out this behavior!' Like, 'If you're spotted out with Jared Leto one more time, this is done.' And then everyone was just nice." She added, "Jemima and I fought sometimes because we've been close since we were 11, and that's one of the things you do when you're family." When asked if they would return to make more "Girls," Kirke responded, "That's like if someone asked me, 'Would you like to go back to college?' Of course I would. 'Cause I would finally do it right. So yes, I would do it all over again." Read the full interview on Glamour.